The classic air-cooled Volkswagen Beetle, officially the Volkswagen Type 1, is regarded as one of the most important and well-engineered vehicles of the twentieth century. It was the most popular imported car in America in the 1960s, and before that it enjoyed a humble beginning as 'the people's car' in its native Germany. 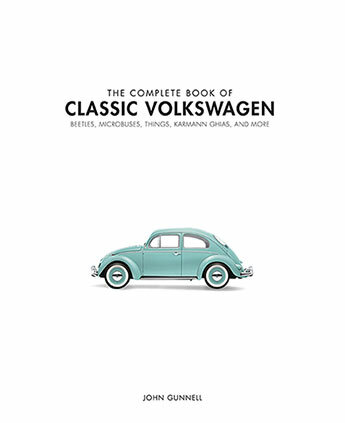 The Complete Book of Air-Cooled Volkswagens encompasses the evolution of the popular Beetle as well as other variations of Volkswagen's air-cooled cars, vans, and trucks. 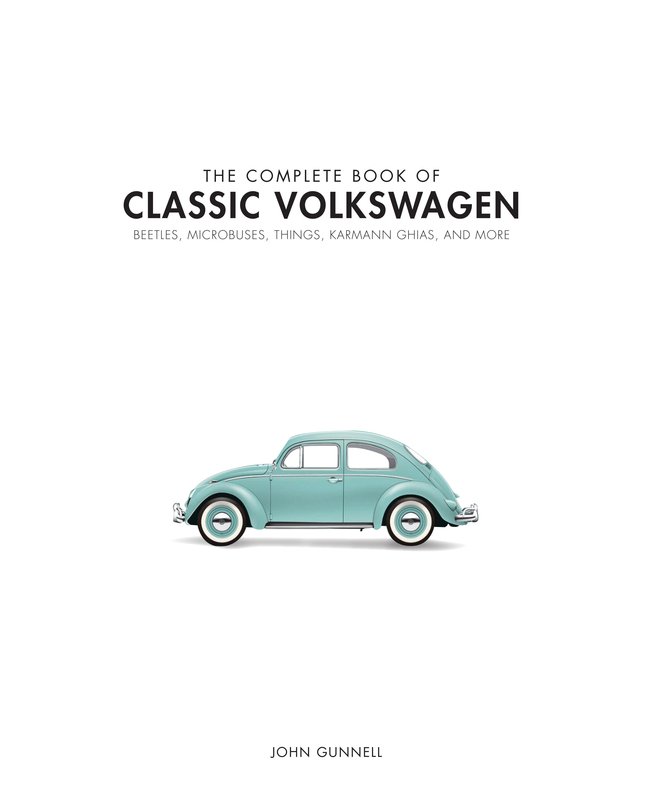 Thoroughly illustrated, this is an invaluable reference to Volkswagen's collectible and iconic cars. The history of VW automobiles is just as colorful as the hues they were manufactured in, and this book illustrates the full story. German automakers originally sought to supply their countrymen with an automobile that was easy to mass produce. By 1938, they finalized the design for the VW 'Bug'--the first rear-engined, rear-wheel-drive configured car. In its heyday, the little rounded Beetle was produced at a rate of more than one million per year. Today, with more than 23 million cars built, the Beetle holds the record as the most-produced passenger car of all time. But the Beetle is only one part of the air-cooled Volkswagen story. The rest--from Type 2 vans, pick-ups, and campers to the Type 113 'Super Beetle'--is included here. If you're the owner of a Volkswagen or if you just love their iconic look and you're interested in their evolution, this book deserves a place on your bookshelf. John Gunnell has more than 40 years of experience in the classic car industry. He is a prolific writer, having authored 85 books about cars, trucks, and motorcycles. His titles include Illustrated Firebird Buyer's Guide, Illustrated Chevrolet Buyer's Guide, How to Restore Automotive Trim and Hardware, and many more. He is the former editor and publisher of Old Cars Weekly, and continues to contribute to that publication's blog. In January 2010, Gunnell added a classic car restoration and gift shop to his portfolio when he opened Gunner's Great Garage in Manawa, Wisconsin.